Baz Luhrmann’s music-driven Netflix period drama “The Get Down” and most recently Jaden was seen in Magnolia Picture’s “Skate Kitchen” which premiered at Sundance Film Festival and was released on August 10, 2018.
on Spotify worldwide. Jaden was named one of TIME’s Top 30 Influential Teens of 2017 and one of Pandora’s Artists to Watch of 2018. Jaden dropped his album "Cool Tapes Vol. 2" in November 2014 exclusively on his app; Jaden Experience. The app is the first to be released in a new platform that allows artists to distribute their music directly to their fans creating an album-like experience through a dedicated platform. His first mixtape, “The Cool Café,” was released in 2012. Jaden also hosts his own program on Apple Music’s Beats 1 radio show. 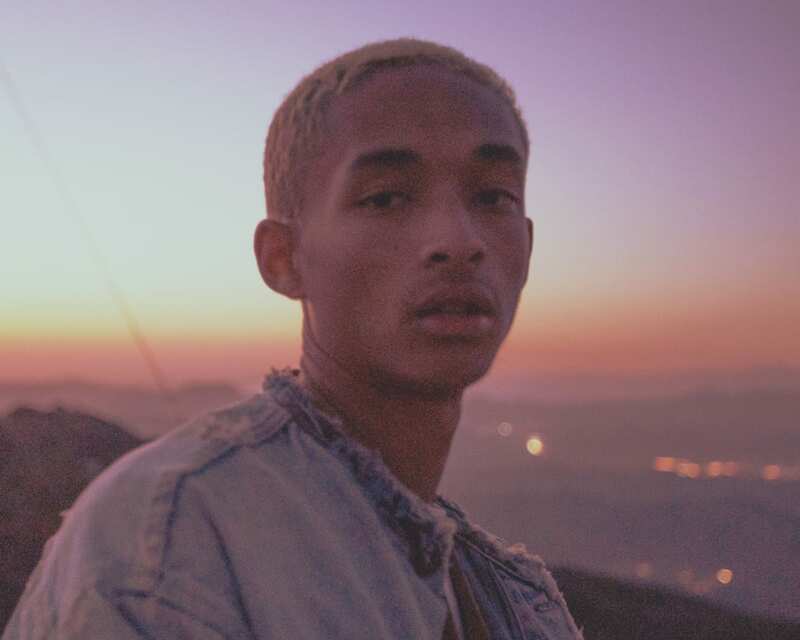 Jaden recently announced his new project ‘The Sunset Tapes’ and new single ‘GOKU.’ The Sunset Tapes: A Cool Tape Story is due to be released in November 2018. Jaden’s current greatest endeavor has been starting his own clothing/lifestyle brand called MSFTSrep. The clothes range from hoodies and T-shirts to trousers and vests. Not only did Jaden serve as the face of Louis Vuitton for the Spring/Summer 2016 collection but he also joined forces with G-Star to create a new collection of clothing called Forces of Nature where each piece is engineered using sustainable materials and design methods. As one can see Jaden is an advocate for a cleaner world and was recently honored for his leadership and action on environmental issues at the 2016 EMA Awards with the “Male EMA Futures Award.” Jaden cofounded JUST Water, the most environmentally conscious water bottle sold commercially. The ethically sourced 100% spring water comes in a paper bottle that reduces harmful greenhouse gas emissions by up to 74% when compared to traditional PET plastic water bottles. Additionally, the water is sourced in Glens Falls in Upstate New York where a unique trade partnership with the city is revitalizing the local community, restoring industry there by proving jobs and protecting the watershed.